In the fug and sometime stress of modern life, there’s a moment that M remembers fondly. As a child, his Dad helped him put up a tent in the garden where M stayed out the night, perhaps two. Not banished – just enjoying a bit of freedom, albeit just metres from the safety of home. It was a hot summer night. A bottle of milk in a bowl of cold water, ready for breakfast. M’s friend had lent him a record he’d not heard before, even though it was already two or three years old. It was called: The Dark Side of the Moon. Taped, M listened to it in the tent that night. 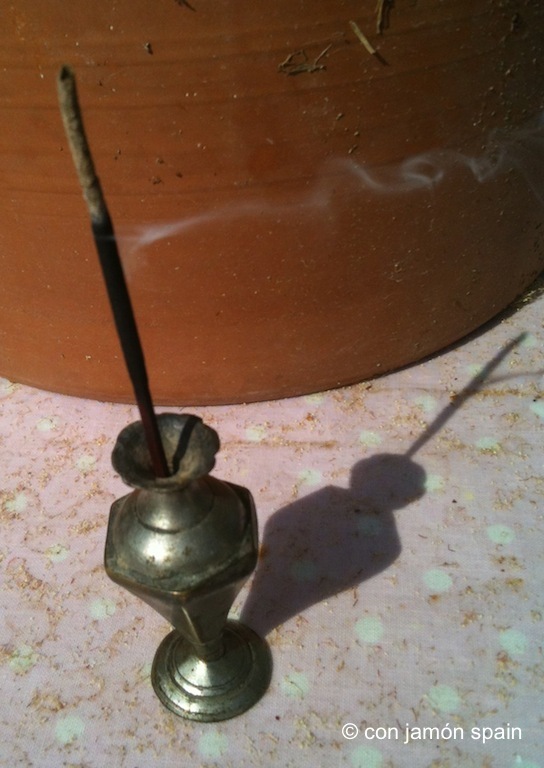 And it was about the time joss sticks made an appearance – the swirling-smoke demons that would torment his coughing Mum as he turned his bombsite bedroom into a Far Eastern temple. 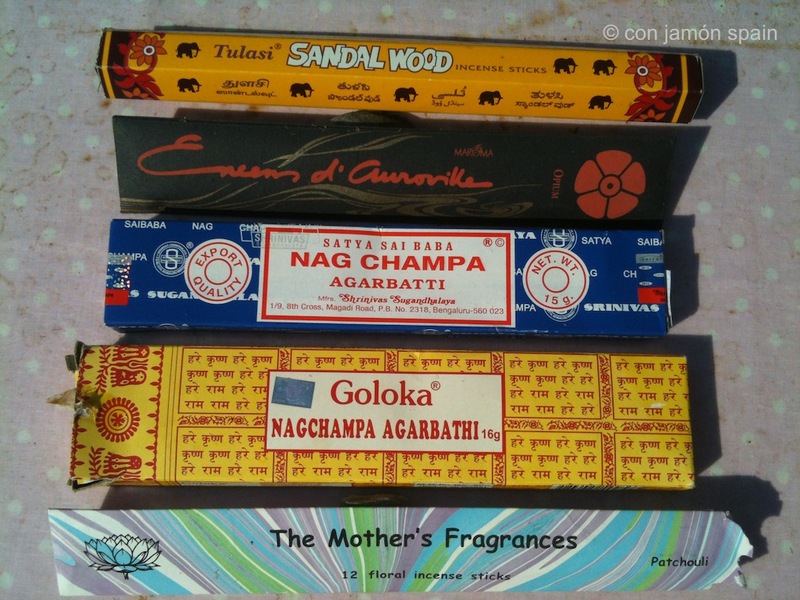 For S, the smell of joss sticks – and cowpats – bring back the 18 months she spent in India, where huge bundles could be bought for next to nothing in the markets of Delhi. Fast forward a few decades and here we are in Órgiva, Spain. Listening to Pink Floyd and burning joss sticks (but no cows in sight). We don’t meditate, we’re not part of a sect or have any religious or spiritual beliefs – and don’t pretend we’re hippies (although tell that to our 16 year-old selves) – despite being in an area well known for its alternative lifestyle. No, they smell lovely and help keep the mosquitos away. To do exhaustive research on every type available here would take years, but we have found some lovely ones. There are plenty of shops that sell them. At Thursday’s outdoor market there’s a man who has a beautiful selection of handmade sticks from India (where he lives). Different coloured packets like sweets in wrappers – some with just five in. As we get through a lot of them, we stick to established brands.